We’re working at Exit 55 Antiques today. (The store is open until 5pm.) 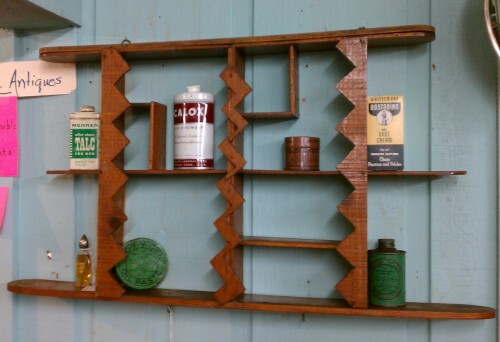 Not only are we looking forward to seeing you, but we’ve brought in more new-to-you-but-old-stuff, like this vintage wooden folk art shadowbox shelf. Don’t you just love the zig-zags?! Handmade, slightly primitive, and just $69. If you can’t come in, call and see about having it shipped to you: 1.218.998.3088. And keep an eye on our Facebook page for more photos of our other unique antiques and vintage collectibles.